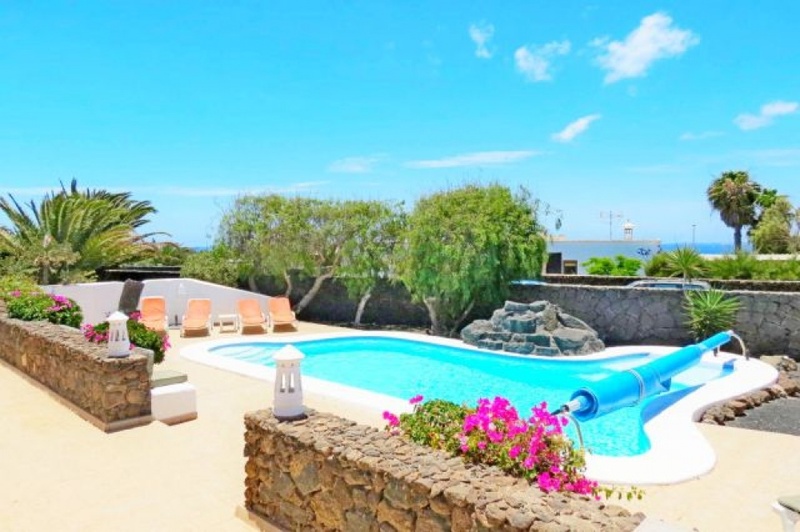 Luxury 4 bedroom, 3 bathroom villa in Playa Blanca. Less than a 5 min walk to the beach, set in a large private plot with free form pool, sea views and ample sun terrace . The property consists of a fully fitted kitchen, separate dining room, large bright living room with patio doors on to the fantastic pool area and shaded seating area. There is also a drive way and the plot is gated. This is an ideal investment opportunity or a great family home for someone looking for peace and tranquillity in the sun! Please enquire about our fantastic 3D walk through on this property!